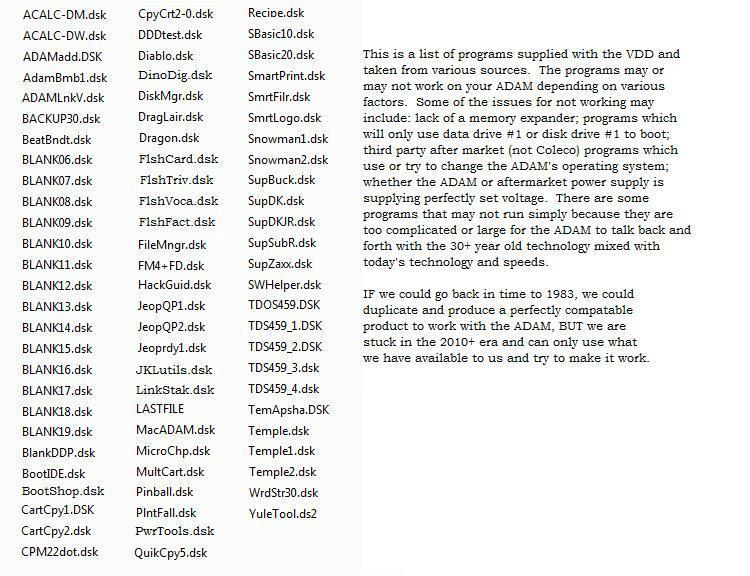 Ever wondered how nice it would be to have 100 ADAM disks of any size in 1 storage media, like stacking music cd's in a cd player? 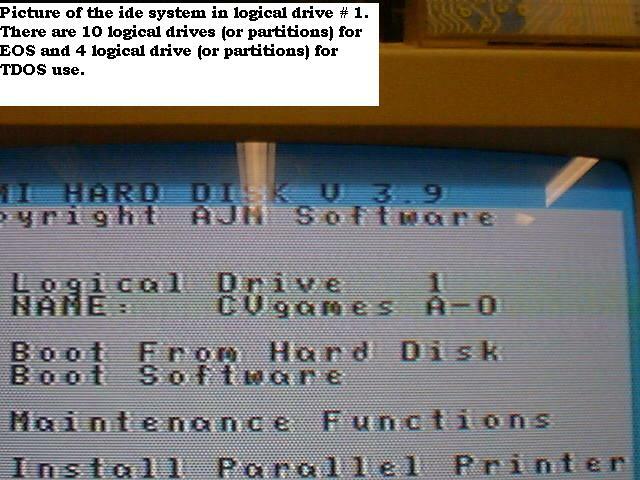 Or how nice it would be to add or subtract new programs from that storage device easily? 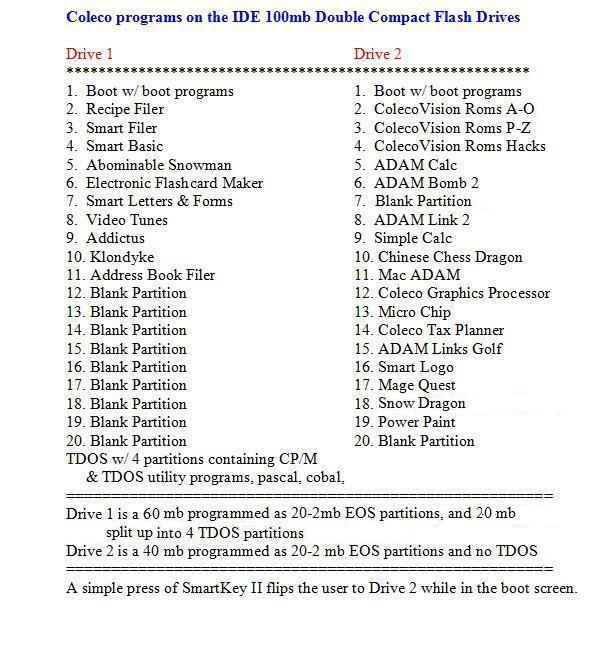 Or how nice it would be to get what you wanted off the internet to put on that device, as well as copy in your own programs on that storage device? 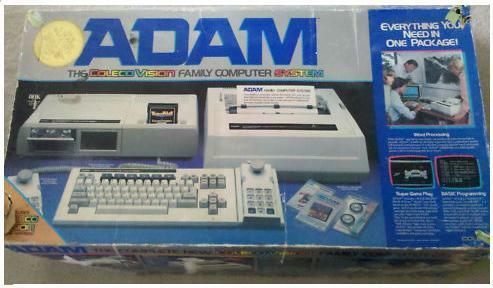 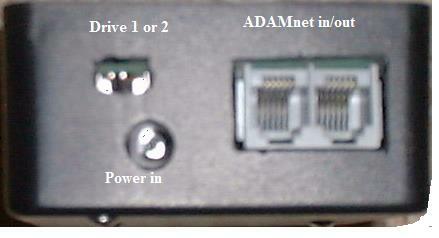 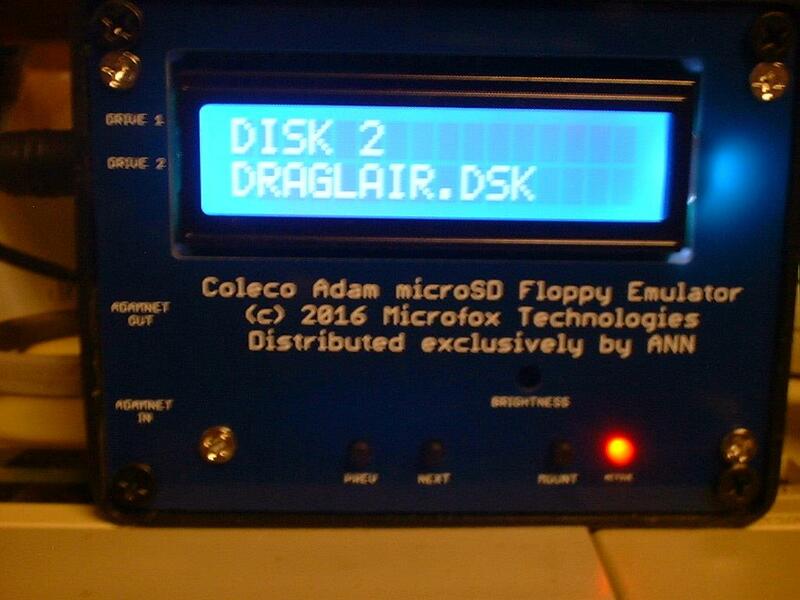 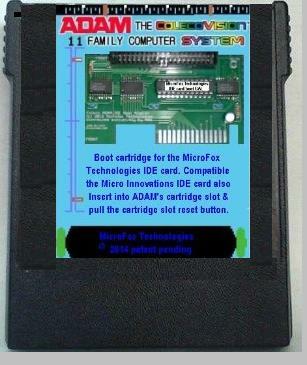 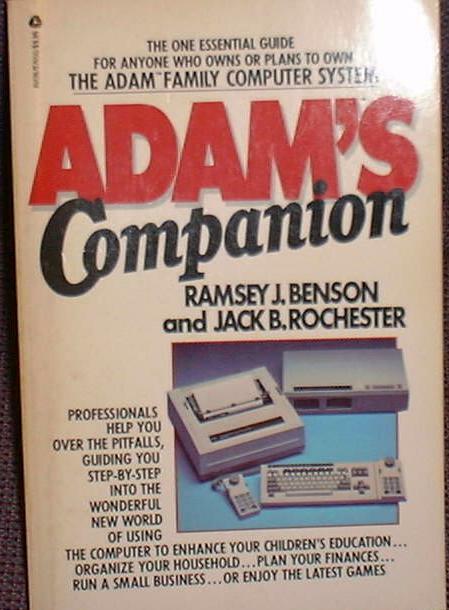 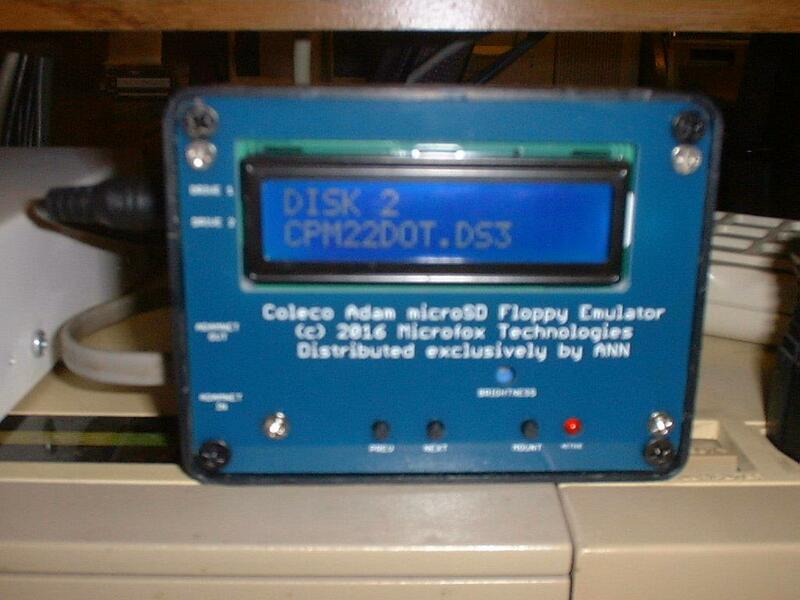 NOW, you have that choice with the Virtual ADAM Disk Drive (VDD) from MicroFox Technologies. 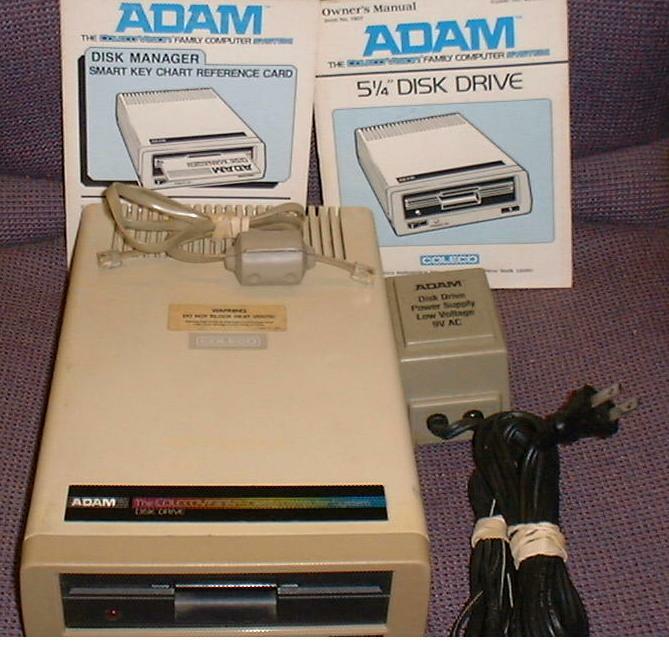 The VDD comes complete with the drive, removable microSD card holding all those disks, a power supply, and an ADAMnet cable to plug into the ADAM. 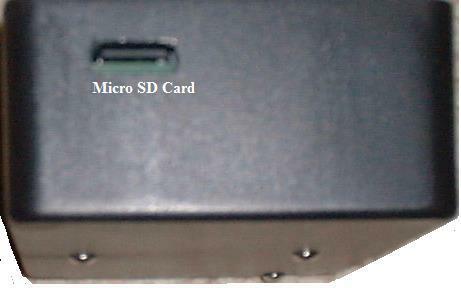 The VDD's microSD card can be interchanged with other microSD cards for data storage or other programming for the ADAM. 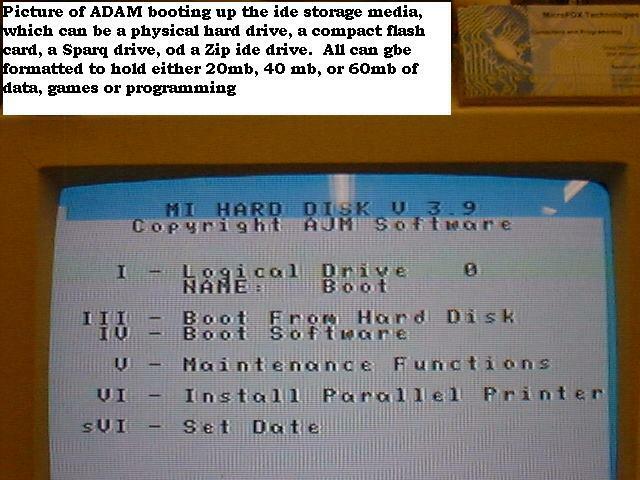 Because the programming is in ADAMemulator format, the internet is a treasure trove of material, programs and games which can be added to the microSD card as simply as copying them. 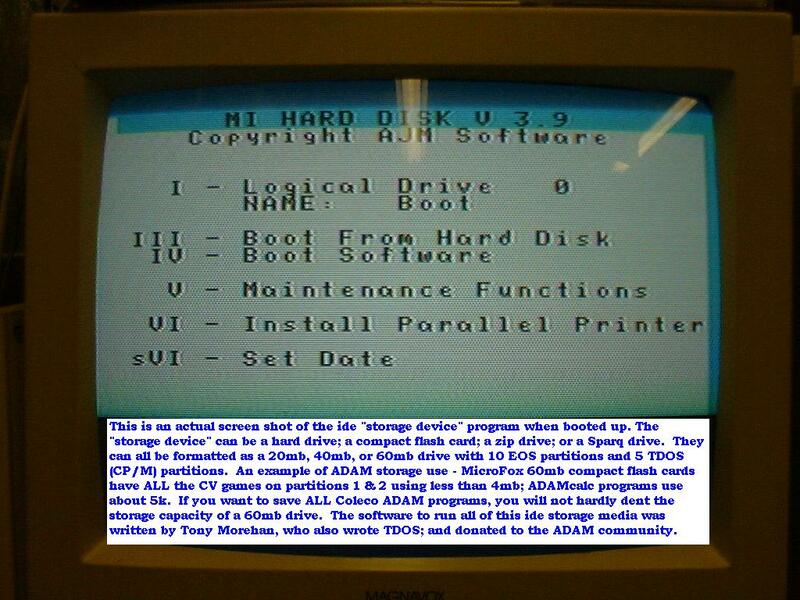 Click on a photo to enlarge it for viewing. 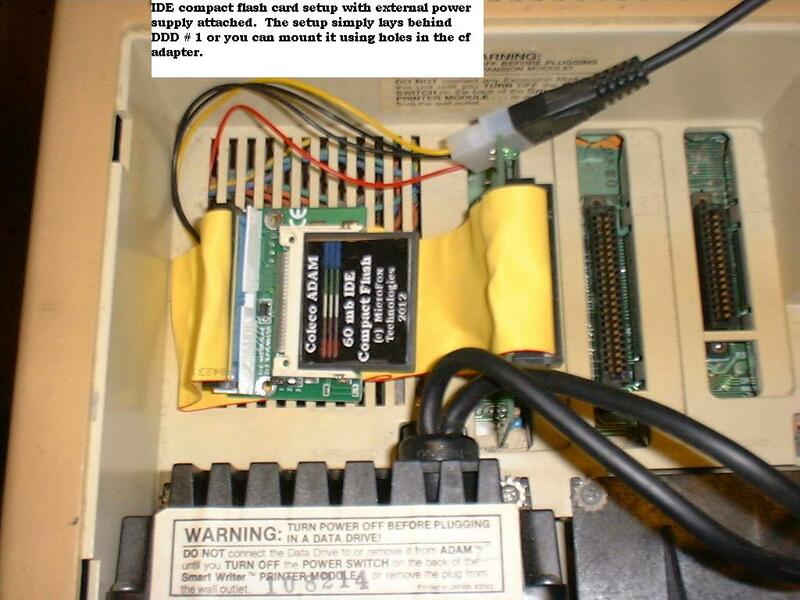 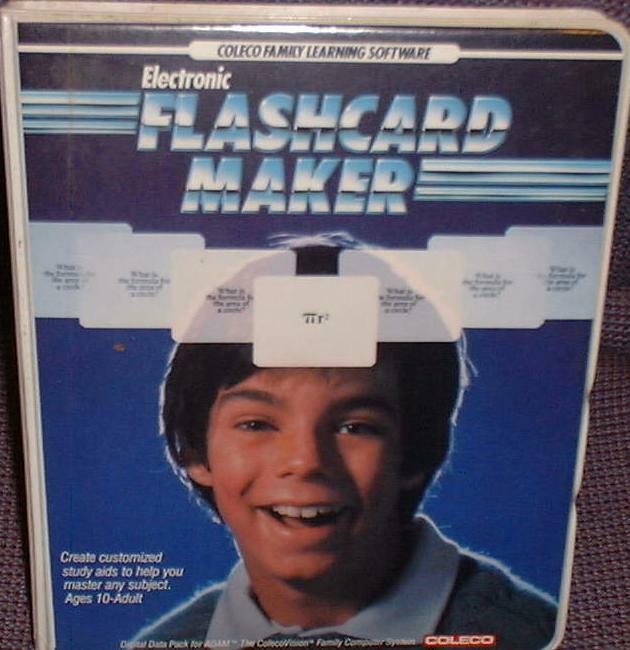 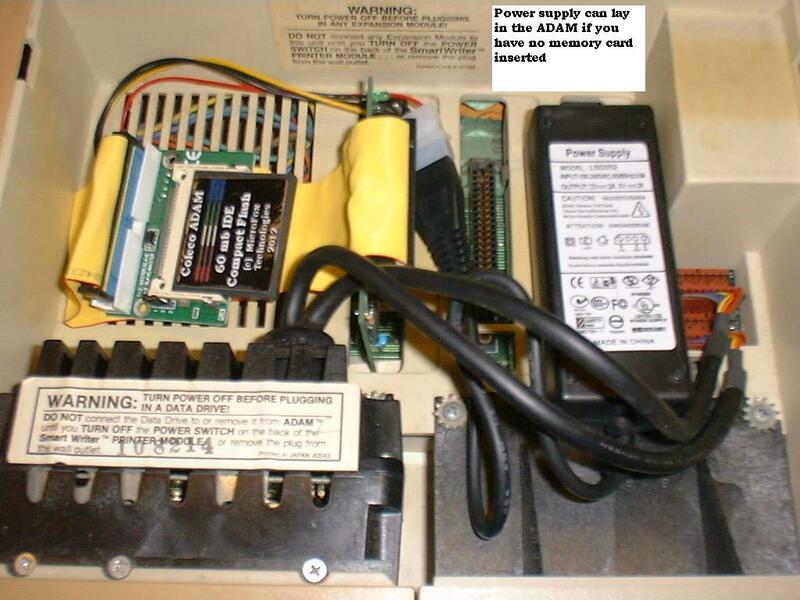 Also available is the hard drive option - compact flash card media in 100mg w/ 40 partition's (directories); a cartridge to boot the super fast cf system; new 256k memory expanders; new parallel printer/memory addressor cards with onboard eprom to boot the cf system, as well as most of the original Coleco ADAM supplies and parts. 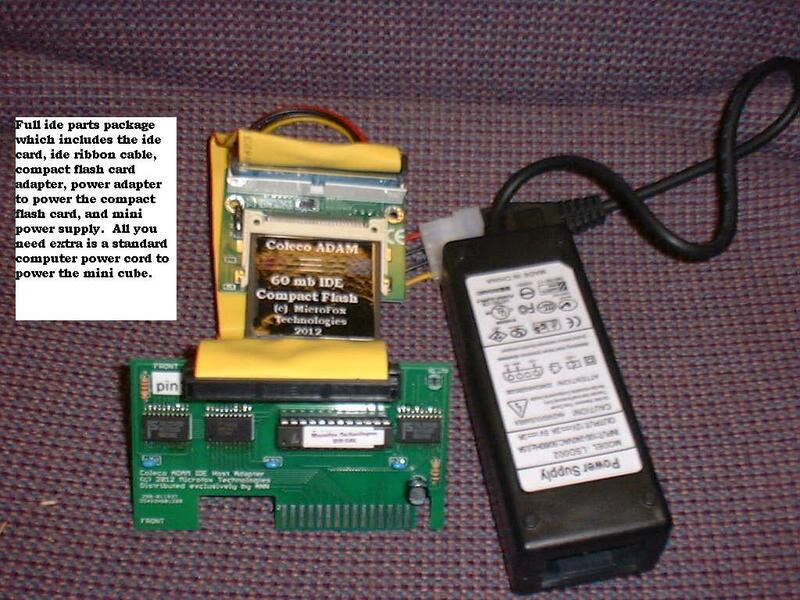 Some items may be for reference only and not available at any given time, so check with us to see if we have it in stock. 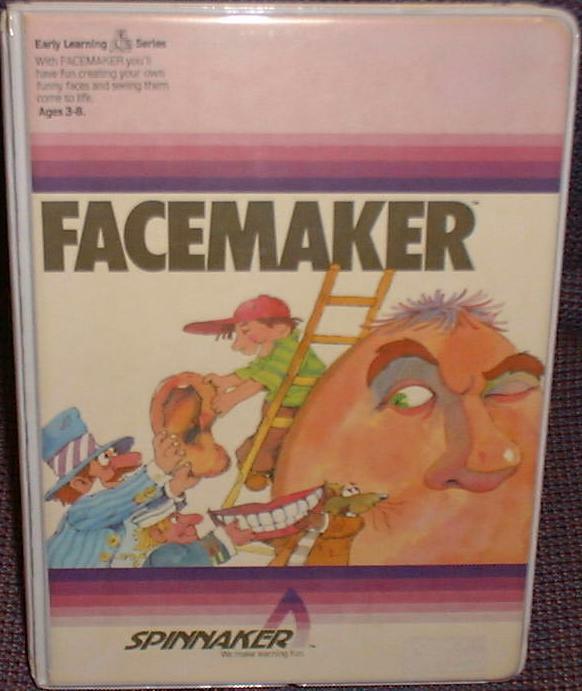 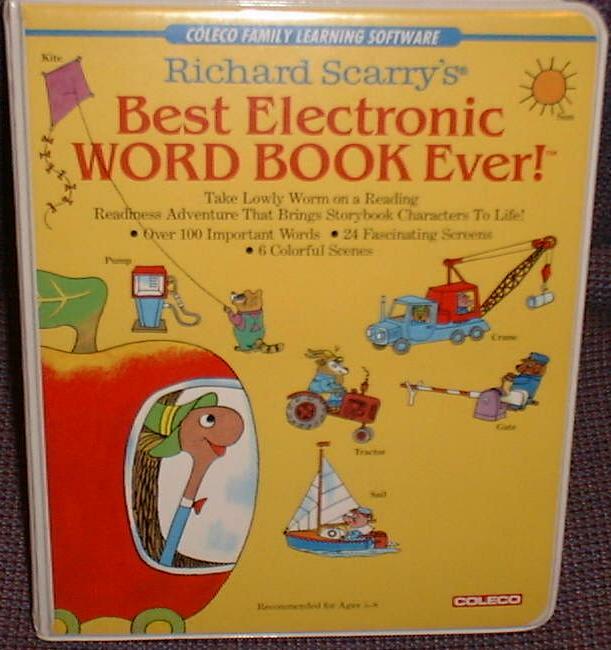 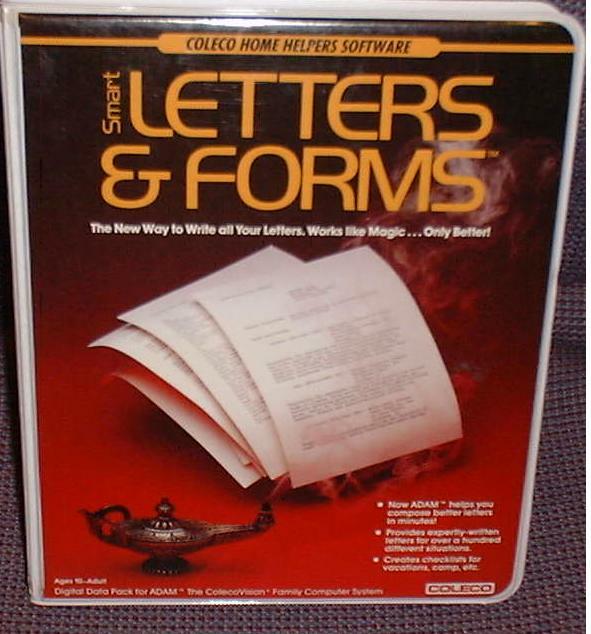 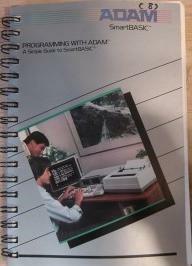 We also have lots of software, PD and originals in copied form. 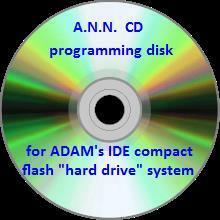 You will find it under the ADAM software for sale link. 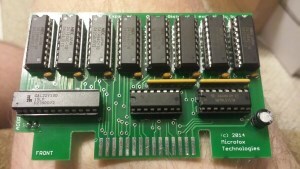 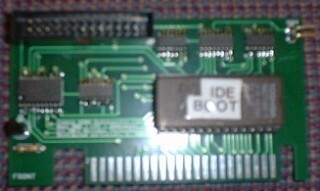 MicroFox's PRINTER CARD w/onboard eprom to autoboot IDE system $50 + shipping. 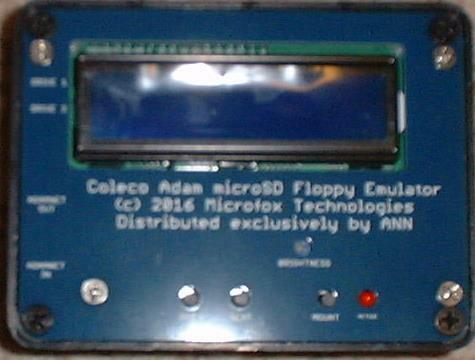 Acts as addressor to access memory above 64k on the NEW MicroFox Technologies 256k card. 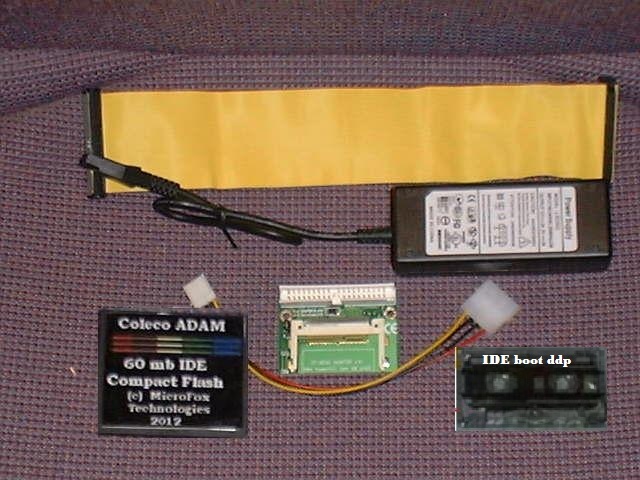 COMPLETE 100mb IDE package includes the IDE card, ribbon cable, power supply, compact flash adapter, 2 ADAM formatted cards w/ 40 EOS partitions & 4 TDOS (CP/M) partitions, and either disk or data pack boot media for $80 plus shipping costs. 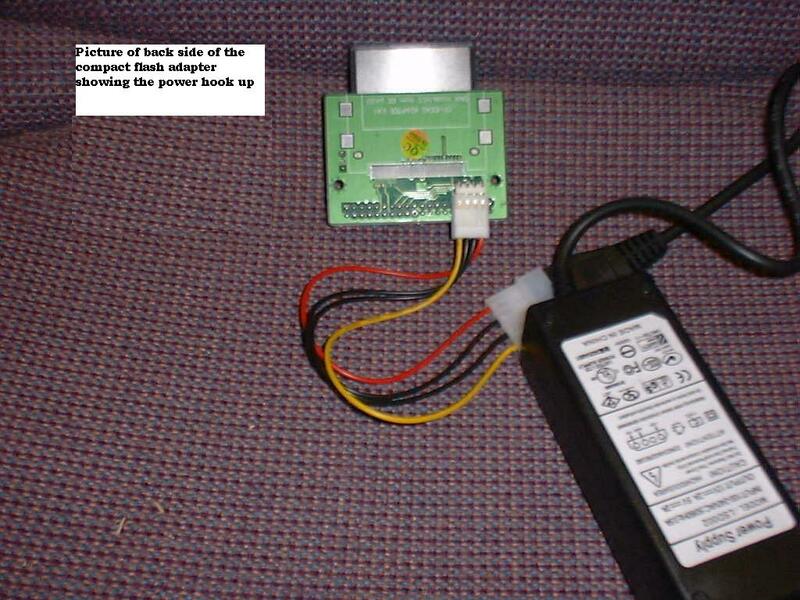 You supply your own standard cpu power cord. 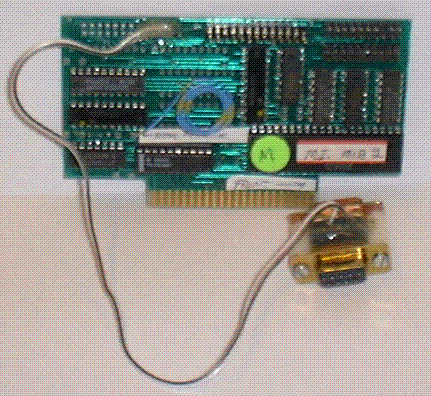 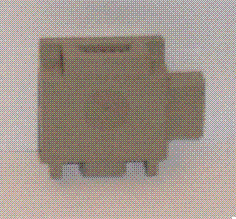 Upgrade your original 60mb cf system with 2 new cards and a new adapter for $20 plus shipping. 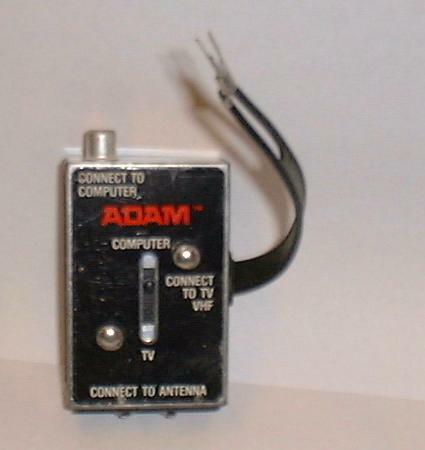 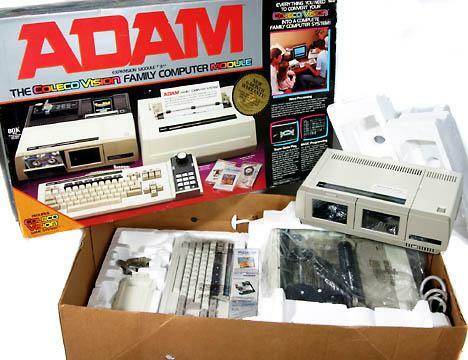 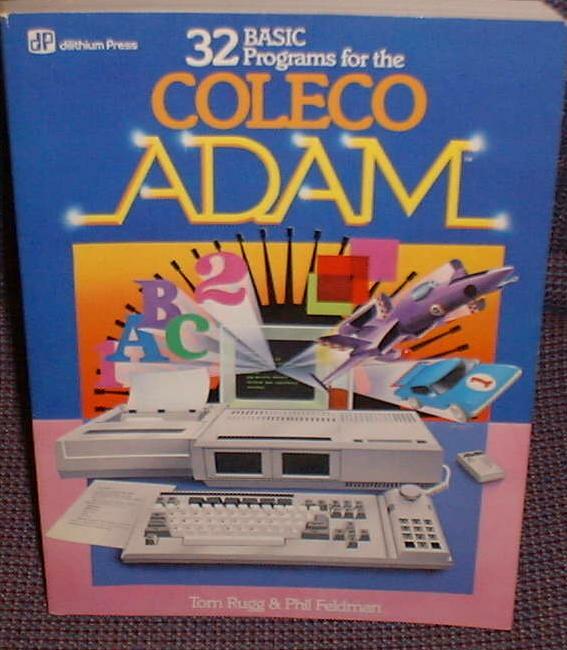 This is a sample of the ADAM computer merchandise which is available thru A.N.N. 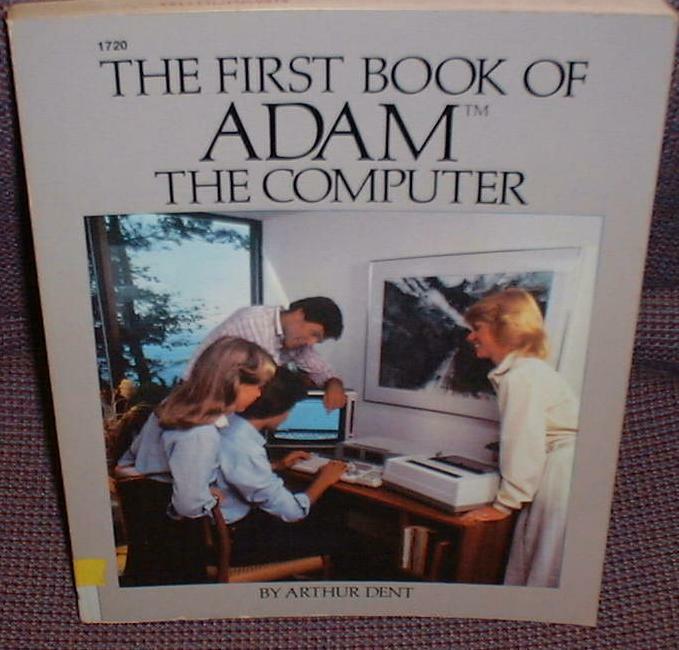 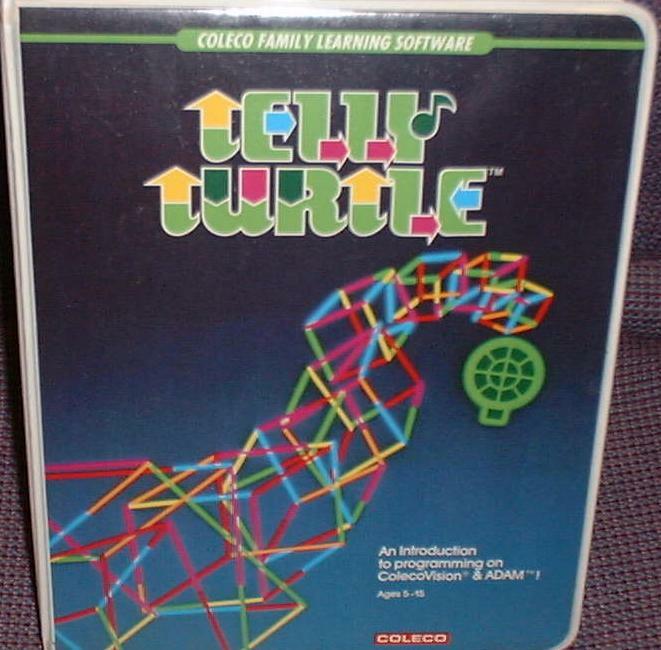 We have many public domain programs which can be copied for a $6 charge plus shipping (click on the ANN Software For Sale link on the main page). 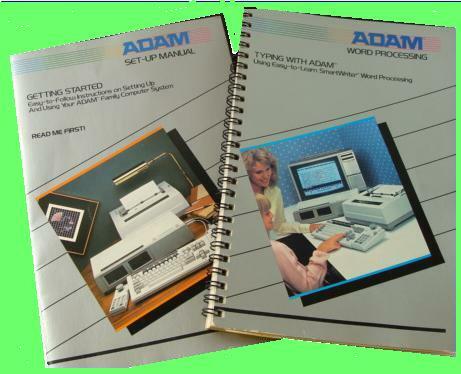 Some programs and supplies are included here even though we have limited quantities of them. 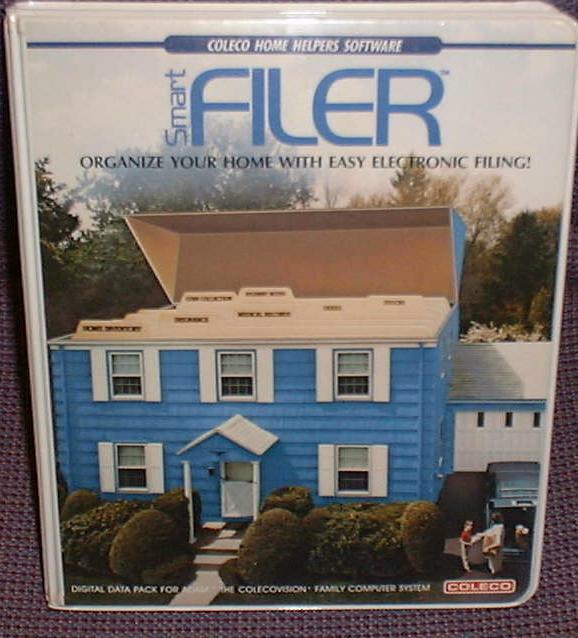 We wanted to include the most popular items; and we do get inventory in from time to time. 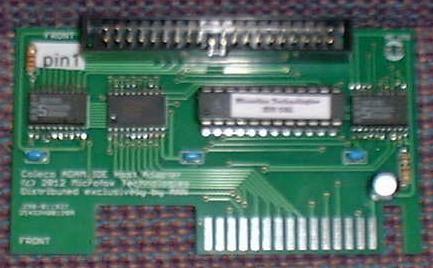 Assorted memory cards and dot matrix printer cards are available - email us. 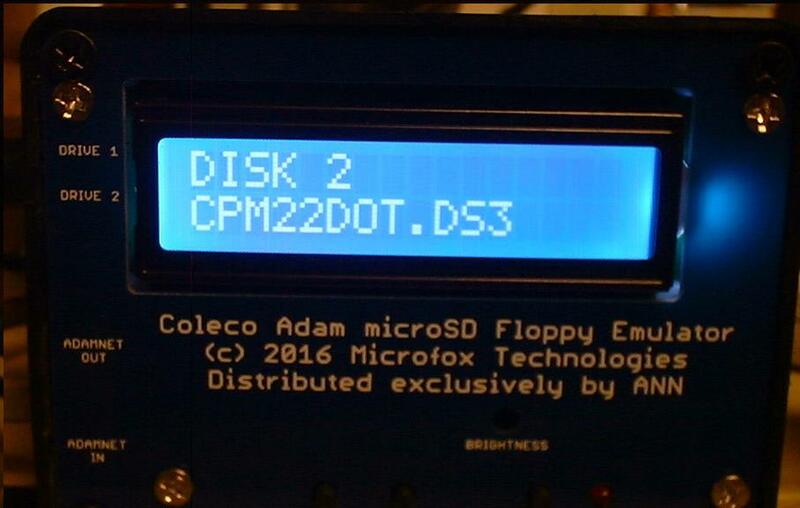 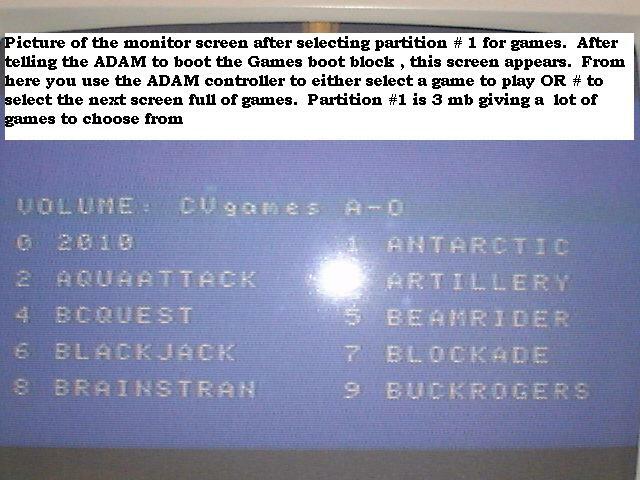 We are here to support the ADAM community thru the ADAM conventions each year and by publishing a monthly news disk to use with the ADAMemulator program from Marcel DeKogel.